1. Do you know about a "Flash Bug" infecting computers? 2. What do you think about the info at the link below? And, do I need to do anything that the below article link suggests? I don't know why the link is not highlighted? 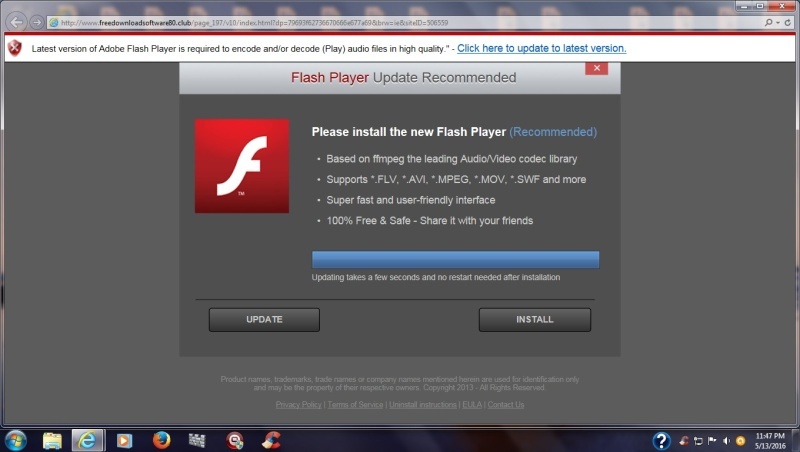 Make sure your Adobe Flash is updated to the latest version and stay away from websites you know nothing about. Don't open emails from anyone you don't know or aren't expecting email from. I don't know why the link isn't highlighted either. You can check to see if you have the latest adobe flash by going to the control panel > click the adobe flash icon > click the update tab > click the check now button and follow the prompts if any. 1. Before posting this I went to Control Panel to check if I have the latest adobe flash version, & I do...So, my question is this, why did the update adobe flash come up on my Desktop, is this a hoax, or a bug, or does Adobe just offer an update on my desktop, I think I might have at some time said that I would like to be offered updates..???? Definitely looks like a hoax. 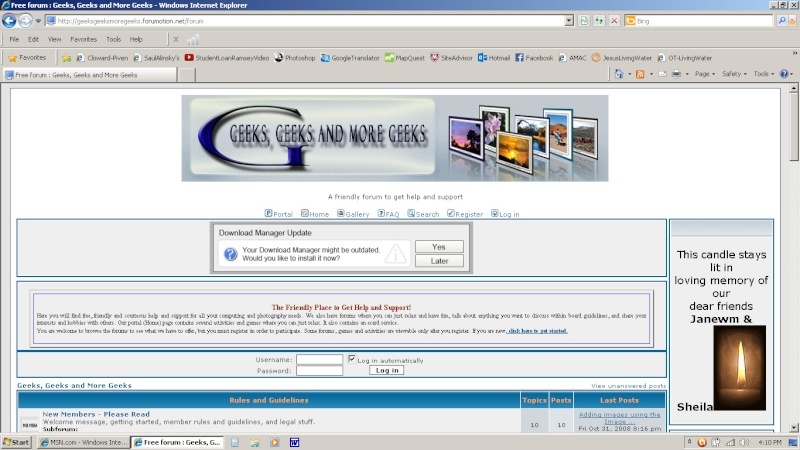 Look at the URL in the address box - www .freedownload software. club. (I've put spaces in the address so it does not appear as a link). That is not Adobe! When you get a notification that there is a new Adobe Flash version, it will be a popup, usually right after you boot up and before you open a browser, and it will not contain an address bar as in your image. I didn't notice the address bar, I'll have to look more carefully! Any notification that comes while you are browsing the web is suspect. Actually, I was booting up, & left the computer, & when I came back it was on the desktop. Please check my Windows Defender Updates post if u see this.